Branding can be a delicate part of your business. If you don’t handle it the right way — or worse, don’t put any focus on crafting your brand — you may put yourself at a big disadvantage. 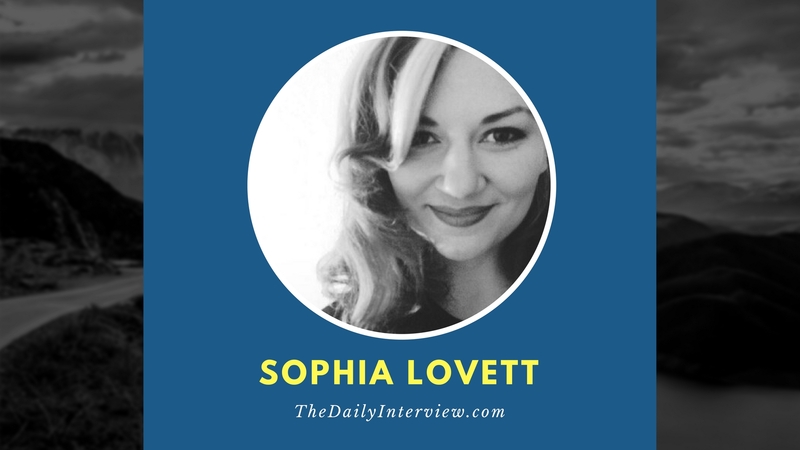 Today, Sophia Lovett, a branding expert who got her start in the music business, talks with The Daily Interview about her background, what it takes to build a strong brand, and the solution to some of the common struggles people face when building a brand. Sophia, I’m a big fan of your site, Voodookiss Creative. Thank you, Eric! I’m happy to hear that. You have a lot of great content about branding and marketing in addition to the various branding services you offer. Tell us a bit about your background and journey. How did you get into your business, helping others with branding? It all started a few years back when I was working in the music business, managing and coaching bands. It didn’t take too long before I realized the importance of strong brands for my artists. But I just couldn’t find great resources to help me with this. The advice I came across didn’t feel right. It was too impersonal and corporate, up to the point where the results became fake and almost sterile, and it focused way too much on elevator pitches and logos. I didn’t want to use these cookie-cutter techniques on my artists. I have a background in communication and psychology, so I went on a mission to figure out what I needed and didn’t stop until I succeeded. I saw how effective this kind of branding is, for artists and entrepreneurs alike, and experienced it firsthand with my own brand. I knew it was time to narrow my focus and put all of my energy into the branding aspect of my work, and I launched the rebranded site recently. What do you consider to be your greatest success so far with your business? There have been great experiences along the way, like working with people whose work I simply adore. The biggest one so far followed my decision to focus on personality-based brand-building and my own rebrand. I started working on my first course to guide artists and entrepreneurs through the brand-building process without them needing so much of my personal attention. I had to find a way to systemize the work I usually individualize for each client. While beta testing this, I went through the process myself. I had obviously worked on the different parts of my brand before, but never quite like this in such a methodized manner, one step after the other, just like my clients usually do. This step-by-step process was different and changed my game entirely. I launched my website for my updated brand, and the magic started happening right away. More and more people are finding me instead of me chasing after them. My work feels effortless and fun. And the new clients who have signed up with me since then have so much in common with my ideal client avatar — it’s almost ridiculous. Even the most successful people stumble along the way. What has been your greatest failure you’ve encountered on your journey, and what did you learn from it? I have stumbled plenty; however, failure is such a strong word. It implies that you gave up. Because I can be pretty stubborn, that doesn’t happen too often. Something that stands out, though, is that pre-rebrand I was a lot less clear and decisive, and I ended up working with some clients and projects that in retrospect weren’t a good fit. This wasted time and caused me a lot of stress. On the other hand, I learned from it. So although it wasn’t always pretty, I don’t have regrets. Building a brand obviously encompasses a lot of different things. In fact, you could argue that literally anything you do can, in some way, reflect your brand. What are a few things you look at when you first begin helping someone with their brand? Completely true. Anything you do reflects your brand — or more often, the lack thereof. This is why it’s so important to know your core, your brand DNA. Once you have 100 percent clarity on that, you can easily figure out all the details. I am a big fan of KISSing (keeping it short and simple), and I consider everybody the expert of themselves. My role is to be there for my clients to help them build their brand, to guide them, and to provide feedback where needed. The combination of these principles led to my brand-building approach. When I start working with a new client, the first thing we look at is who they truly are, what it is that drives them, and who they want to grow into. There is usually a bit of digging involved — we’ve all learned so many shoulds and rules and one-doesn’t-do-thats going back to our earliest childhood memories. What are one or two things that most people struggle with when trying to develop their brand? What are some possible solutions you’ve found for these challenges? Most people get completely lost in the details. And it’s not even their fault. A lot of the advice out there is confusing, contradictory, and over-complicated. It’s not rocket science. You don’t even need to know what an elevator pitch is. OK, I should probably add one little thing at this point. While building your personality-based brand is a rather simple, straightforward process, it’s not always easy. There is work involved. But I can assure you that it’s very much worth it. Some of my clients who struggled the most with some of the questions have since become the biggest fans of this process because getting unstuck with their brand had a positive ripple effect throughout their whole life and career. That’s great. If you had to take your best branding advice or inspirational thought and put it into one sentence or phrase, what would that be? I’m serious. If things don’t work the way you want them to, build your brand. What are your favorite online resources for branding? Actually, I’m trying to stay off most brand-building resources out there. They tend to overcomplicate things, and that rubs me the wrong way. For the branding part, meaning “expressing your brand into the world,” there are a lot of great people out there. Too many to mention here, but I will start recommending different experts who are brilliant at what they do over at voodookiss-creative.com very soon. Hop on over and sign up for my branding VIP list. It doesn’t cost a thing. Thank you for having me, Eric! I really like your toughness against failure. There are always failures that come in before you see any great success. I went through this phase when I started my online venture and kept facing obstacles, but I never stopped and kept learning lessons. Patience and determination are key. 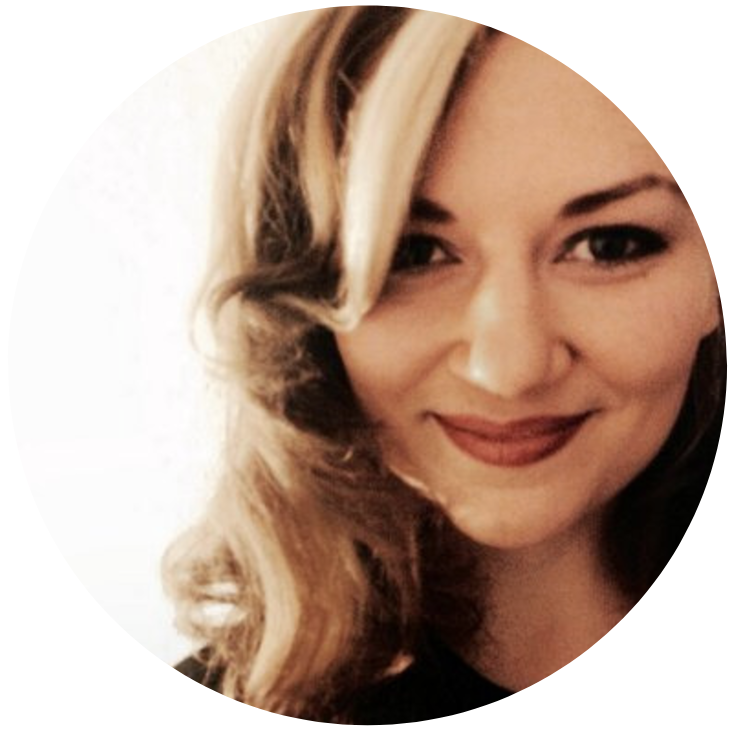 Good luck, Sophia, for your business and to this blog team for providing such a great place to share stories of people like Sophia, which always inspire us to do something great. Thank you for the comment and the wishes, Simmy! So true. Interesting article. Having an ideal customer in mind definitely helps. You just need to make sure that your ideal customer is the same person who actually buys your products.